With the rise of the use of opioids in the United States, our country is on the verge of a crisis. From the pledge by the Trump Administration and others, the United States has made plans to combat this enemy. Certain health carriers have already made pledges in reducing the access to opioids for their customers, such as Cigna HealthSpring. What does a carrier fighting opioid use look like? How will this impact consumers? And why is the acknowledgment of the addiction to opioids finally coming out? Find out all these answers and more, as we look into the plan to stop opioid abuse. In 2016, a recorded 60,000+ deaths came from opioid overdoses. Opioids are a class of drugs that include the illegal drug heroin, synthetic opioids, such as fentanyl, and pain relievers available legally by prescription, such as oxycodone (OxyContin®), hydrocodone (Vicodin®), codeine, morphine, and more. Eighty percent of people who use opioids begin their addiction with prescription drugs that have been prescribed to them. According to https://www.drugabuse.gov/drugs-abuse/opioids/opioid-overdose-crisis, between 8 and 12 percent of those prescribed opioids, develop a disorder. Opioid overdoses also increased by 30 percent from July 2016 through September 2017 in 52 areas in 45 states. How has the government decided to act against opioid dealers? After Congress approved the $6 billion to combat the opioid epidemic, President Trump announced Monday how his administration will handle the drug crisis. Andrew Bremberg, director of the White House Domestic Policy Council, told reporters that “the Department of Justice will seek the death penalty against drug traffickers when it’s appropriate under the current law.” President Trump says he plans to focus on sentencing reforms for drug dealers that would stiffen penalties for high-amounts of drugs. Trump’s plan also includes funding to give treatment to addicts through the federal government and to help those find jobs while fighting addictions. Another part of the funding would go to campaigns to urge people to not use the drugs. In response to the epidemic, even some health carriers have made plans to help lower the use of opioids. 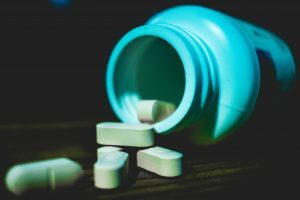 For instance, Cigna Healthspring, a well-known health carrier, has released a statement announcing they are taking steps to reduce opioid use with their customers. In this statement, they plan to cut use of the drug by 25% over the next 2 years. In recent years, more than one third of Americans have been prescribed opioids each year with that number climbing. Each day, more than 1,000 people are sent to the Emergency Room for not using prescriptions as instructed. The problem is getting larger every year and if we do not act now, we could face a serious crisis. Stay tuned for more information on how the United States plans to tackle this crippling drug. More data about opioids, can be found here.